Ophthorobotics was founded in November 2014 and is headquartered in Switzerland. Our team of world class engineers and ophthalmic specialists is passionate about providing a high-tech solution for the delivery of intravitreal injections to treat many chronic ocular diseases. Ophthorobotics is a Swiss company committed to the development of medical robotics. We aim to provide safe and comfortable treatment to patients, while allowing for economic efficiency through cutting-edge technology. 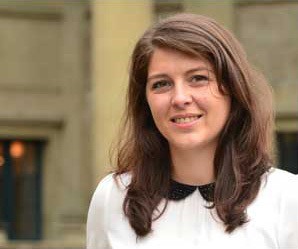 Mechanical engineer by training, who specialized in Robotics, Franziska Ullrich has focused on robot-assisted minimally invasive ophthalmic interventions throughout her doctoral studies at ETH Zurich. She has authored numerous publications that focus on the development of cutting-edge technology for ophthalmic interventions. For her work, she has received multiple awards and made it onto the prestigious Forbes "30 under 30" list (Europe). Franziska Ullrich has gained practical experience in several international high-tech industries and research laboratories in Switzerland, Sweden, Australia and China. As CEO and co-founder of Ophthorobotics AG, she is highly passionate about the development and commercialization of the first system capable of performing a complete ophthalmic surgical procedure. Roland Dreyfus passion is to shape the field of medical robotics as he has always been fascinated by applying engineering to the bio-medical field. Throughout his master's studies in mechanical engineering at ETH in Zurich and during his practical experiences in industry, he worked on various complex systems ranging from measurement devices to sensor systems used in the medical field and the high-tech industry. Roland joined Ophthorobotics in October 2018 to undertake the challenging task of technology development. 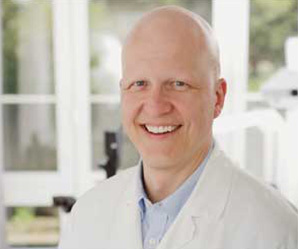 Stephan Michels is currently vice-chair and head of medical retina at the department of Ophthalmology at the City Hospital Triemli as well as professor at the University of Zurich. He had his training in Ophthalmology at the University of Luebeck, the Emory University Atlanta, the Bascom Palmer Eye Institute, Miami and the Medical University of Vienna. He was the first to report the use of Bevacizumab (Avastin®) in Ophthalmology and is known for his work on therapeutic treatment strategies (e.g. PrONTO Study). 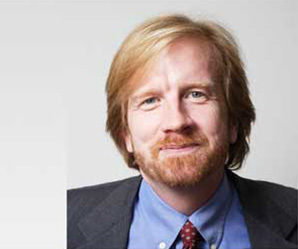 He has published more than 70 peer-reviewed articles. Under his guidance the department of Ophthalmology has become the largest single intravitreal injection center in Switzerland and one of the leading centers for clinical studies on macular diseases in Switzerland. Bradley J. Nelson has been involved in the development of advanced technology to assist in ophthalmic surgery since 2003. He is leading the MSRL at ETH, which combines advanced robots of different scales with newly developed materials for the field of targeted drug delivery in several parts of the human body. Previously, he has spun off a company that focuses on minimally invasive catheter guidance in the heart and is entering human trials. 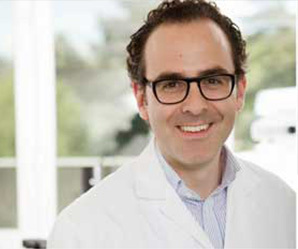 Matthias Becker is chair at the department the ophthalmology at City Hospital Triemli Zurich and is professor at University Heidelberg in Germany. Under his leadership the department has become internationally renowned clinic for retinal diseases. He is an acknowledged specialist for intraocular inflammation and vitreoretinal surgery. He has published more 100 peer reviewed articles and has obtained a MSc in healthcare management in 2008.